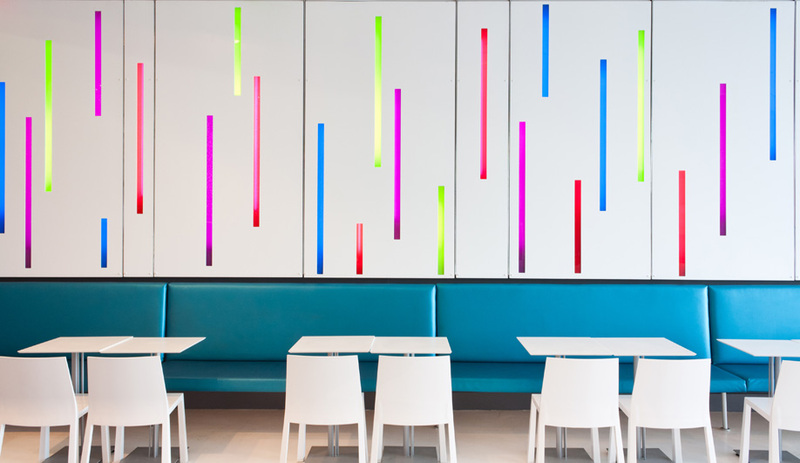 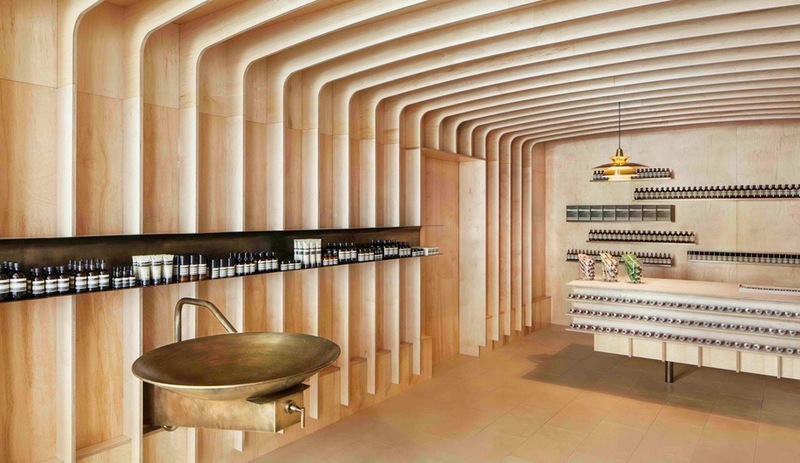 Prototype Design Lab crafts a sweet interior with hits of candy-hued finishes for Fritzy’s, a self-serve shop in Toronto. 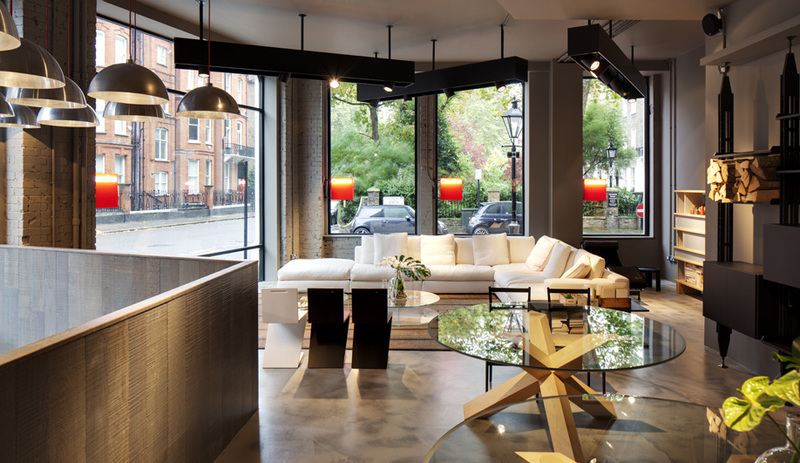 The prolific British designer finally sets up his first U.S. storefront – a trade-only showroom in New York’s NoHo Design District. 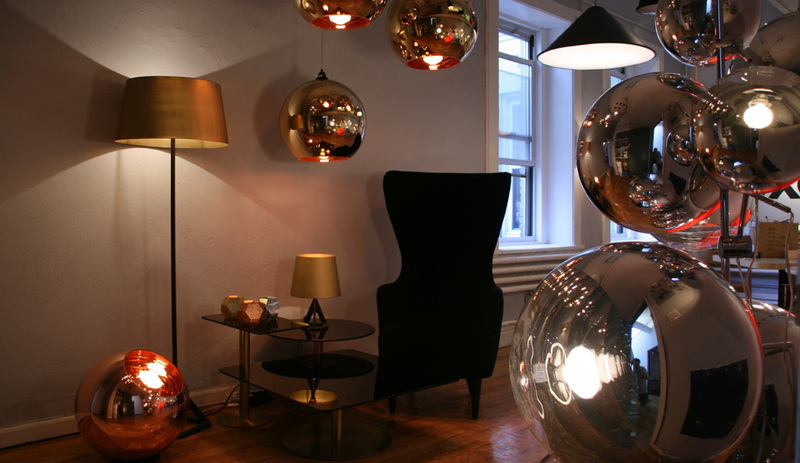 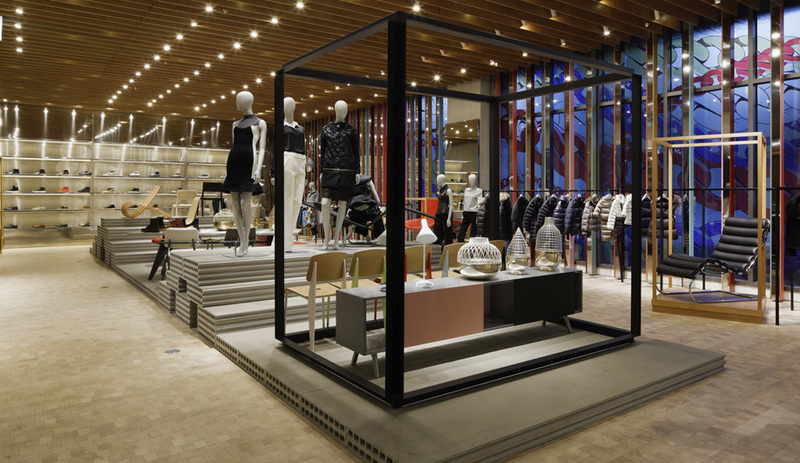 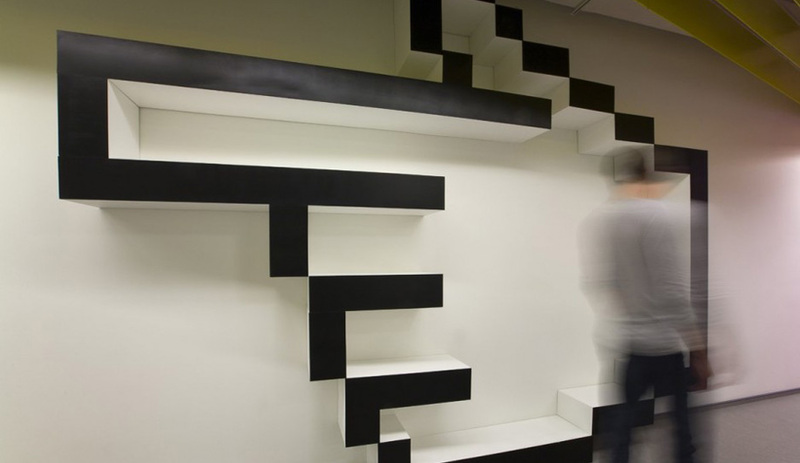 The British designer’s most popular furnishings get big play at the luxury department store. 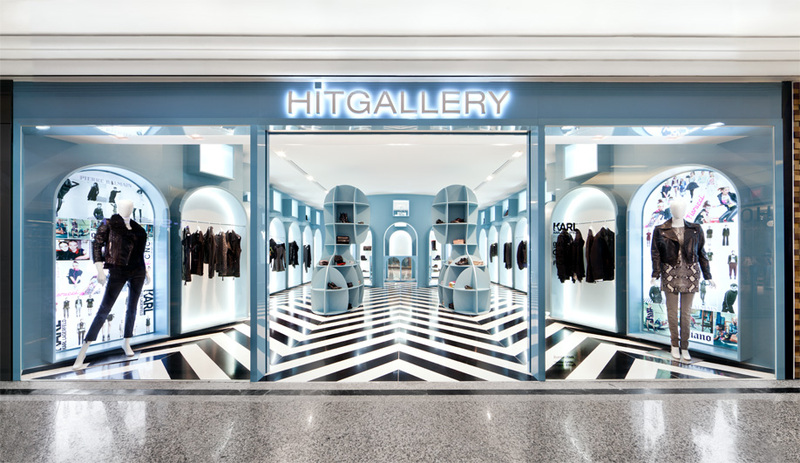 To create a bold new fashion boutique in Hong Kong, the flamboyant designer took inspiration from classic Italian architecture – as interpreted by the surrealist painter Giorgio De Chirico. 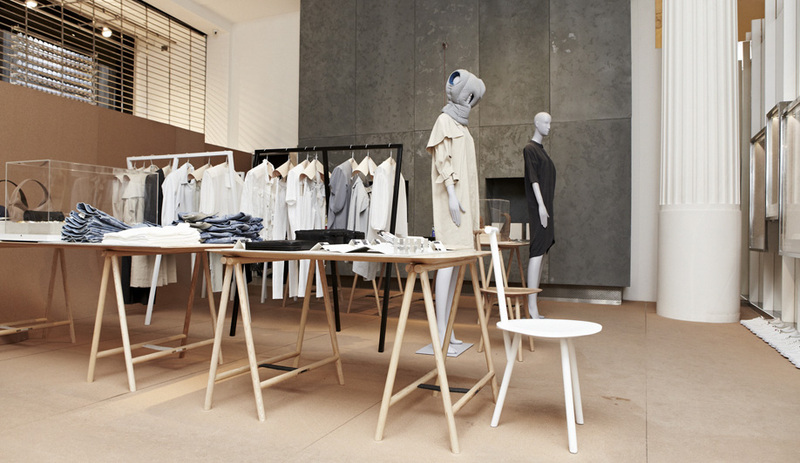 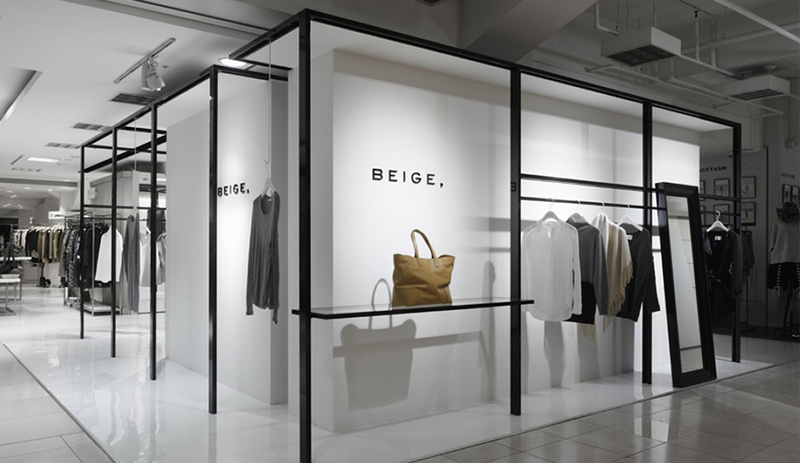 For a posh new fashion and housewares boutique in Seoul’s Gangnam District, the firm maximizes a minimalist palette with unique custom features – including a fantastic display plinth made of stacked concrete planks.